Oil paint on canvas paper by Paul Burrow. Full painting size 11.69 x 16.53 inches (Image above is cropped). 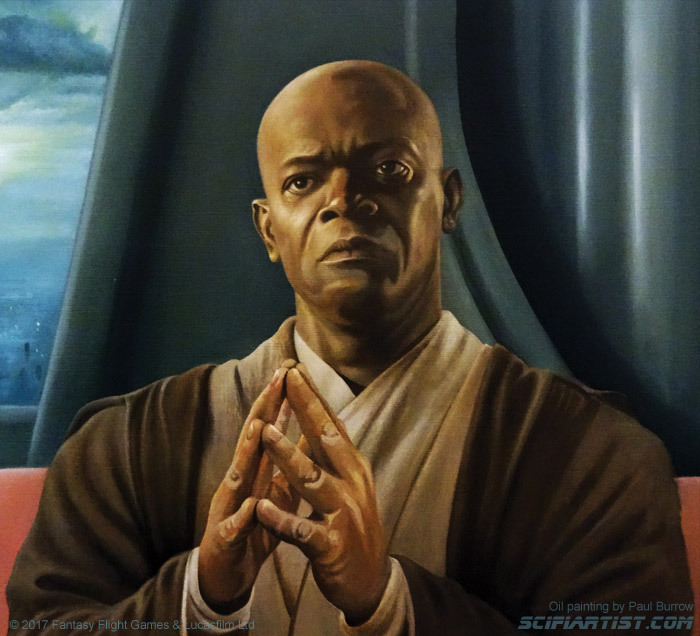 This Mace Windu painting was done for Star Wars Destiny collectible card game produced by Fantasy Flight Games. This is card 36 from the Empire at War booster pack. Star Wars and all related characters are © Walt Disney & Lucasfilm. 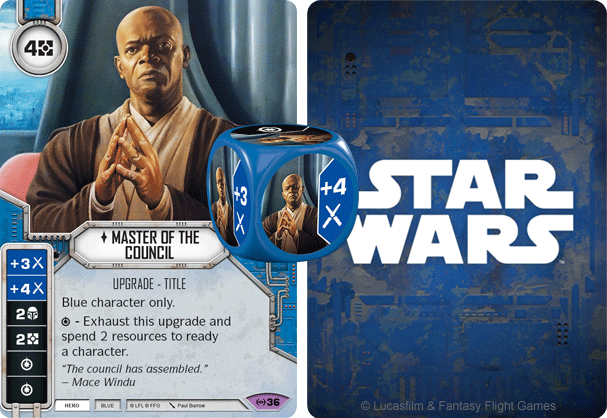 Here's the card and die from the game.